The Aphra Behn Society Graduate Travel Award is awarded to a graduate student who is presenting at the Aphra Behn Society’s biennial conference. The prize carries a cash award of $150, which is sent to the winner immediately following the conference to reimburse him or her for conference expenses. To be eligible for the award, graduate students must have presented at the conference and must be members of the Aphra Behn Society. Those wishing to be considered for the award should send their name and email by November 1, 2015 to the Executive President, Dr. Karen Gevirtz, at Karen.gevirtz@shu.edu. The name of the winner will be drawn out of a hat at the Society’s business meeting at the conference. The winner of the prize will be notified soon after the business meeting and will be announced through the Aphra Behn Society’s Newsletter and listserv. 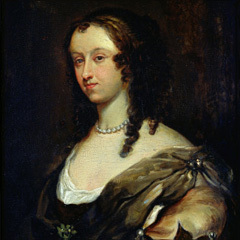 The Aphra Behn Society is dedicated to encouraging and advancing research that focuses on issues of gender and/or women's role in the arts of early modern culture, circa 1660-1830. Through its newsletter, website, and biannual meeting, the Aphra Behn Society seeks to promote an exchange of information and ideas among members of the various disciplines engaged in related research.